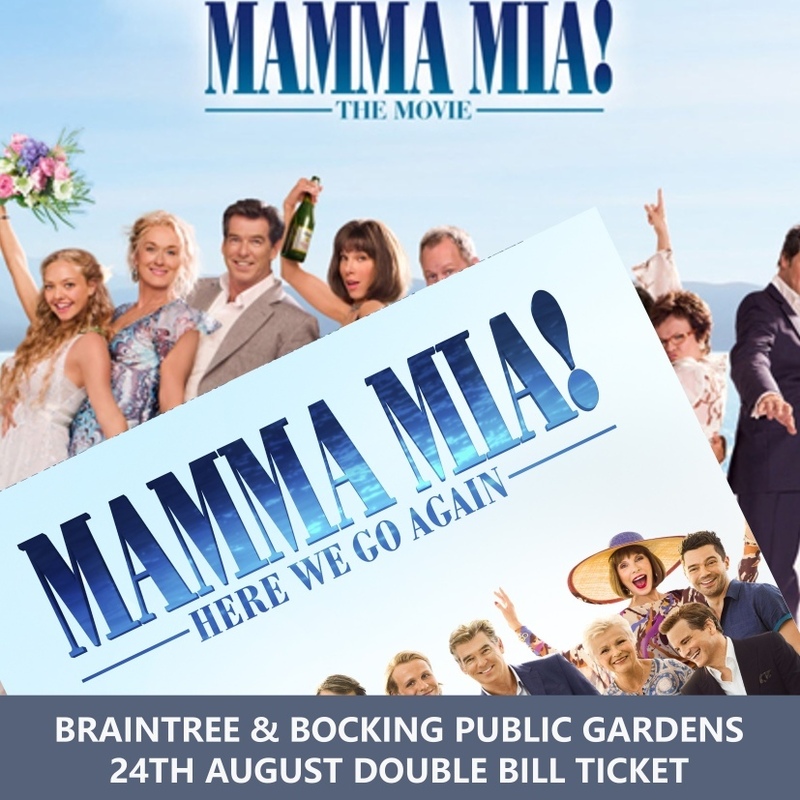 Come to our outdoor event at Braintree & Bocking Public Gardens on the 24th August where we will be screening Mamma Mia and Mamma Mia Here We Go Again, certificate PG, as a DOUBLE BILL! Get ready to sing and dance, laugh and love all over again and again! Gates open at 4.30pm, then the Mamma Mia starts at 5.30pm - 7.20pm, Mamma Mia Here We Go Again starts at 8pm and will finish approx 10pm. £20 per adult and £15.50 per child (under 12)/*concession.